If the probate court appoints a personal representative (i.e., executor) to be in charge of the estate, this is referred to as a “regular” or “typical” probate estate administration. A regular probate administration usually occurs within one year after the date of death if there is no will. It can occur later than that if there is a will, and it was presented for probate within one year after the date of death. Usually there is more than $40,000 worth of net assets to go through the normal probate process. You will need an experienced probate attorney to navigate this process, as well as any other type of probate. Whether or not there is a will, if assets are still titled into the name of the deceased person after death, probate court will be required. A personal representative will be appointed to conduct the affairs of the probate estate, including gathering assets, paying debts, and issuing inheritances. Administration can be “court-supervised” or “independent.” Supervised administration means that court approval will be required for just about any action taken by the personal representative. This can lessen the liability of the personal representative, because the judge will approve everything along the way. Independent administration means that you and your attorney will receive less supervision. This can lead to quicker and easier administration. However, because the judge doesn’t approve every action of the personal representative, the personal representative is more likely to be held responsible for any actions taken while serving that role. In our experience, most personal representatives prefer a supervised administration to reduce their liability for any previous actions. What Is Involved in a Typical Probate Administration? From this point, the personal representative creates an inventory of all probate assets, gathers all property, liquidates the property, pays debts, and distributes inheritances. Please note that this is a very simplified explanation; many additional steps occur along the way. A normal probate administration usually takes anywhere from 9 to 12 months. However, it often takes longer, depending on whether or not real estate sells, how many creditors there are, and many other issues. The above steps usually take a good deal of time. For example, state law allows creditors to have six months after the date of the first publication of notice to file claims against the estate, meaning that the quickest probate administrations generally take between seven and eight months. Even if there are no creditors, Missouri probate law requires this period, which cannot be waived. The above “regular estate,” whether independently administered or supervised by the court, is a true and full probate estate because a personal representative gets appointed to deal with all aspects of the estate. There are several other ways to send property through the probate process without actually opening a full-sized, regular estate. Each of these other methods can only be used in certain situations and are exceptions to the usual or “regular” estate described above. They don’t involve opening a probate estate at all. In fact, make no mistake, these other methods mean that a probate estate is not being opened. 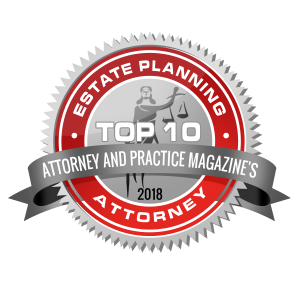 They are typically called “dispensing with administration.” In other words, they involve transferring property to the living without opening an estate and without the probate court appointing a personal representative. To discuss your probate estate administration, please call the Piatchek Law Firm today at 417-882-5858 or contact us online. We would be happy to set up an initial consultation to discuss your case, and we may be available for evening and weekend appointments. In addition, we can arrange a home visit if you cannot travel to our law office.